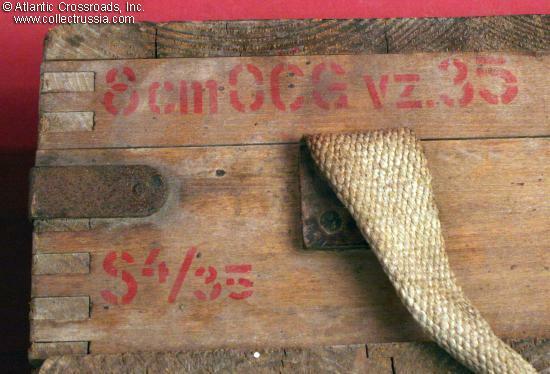 Large Wooden Box for 8cm Anti-Tank Ammunition. 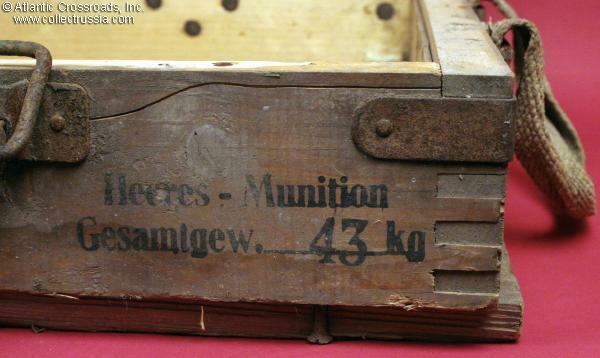 Large Wooden Box for 8cm Anti-Tank Ammunition. 33 1/2" X 14 1/4" X 6". 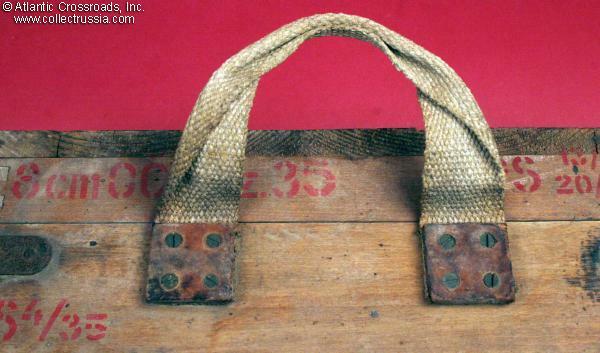 Large, heavy duty canvas handles on both ends. 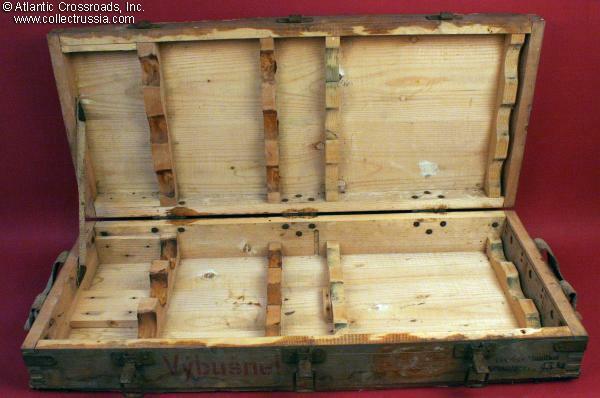 Lid opens on the side and is secured by three steel latches. 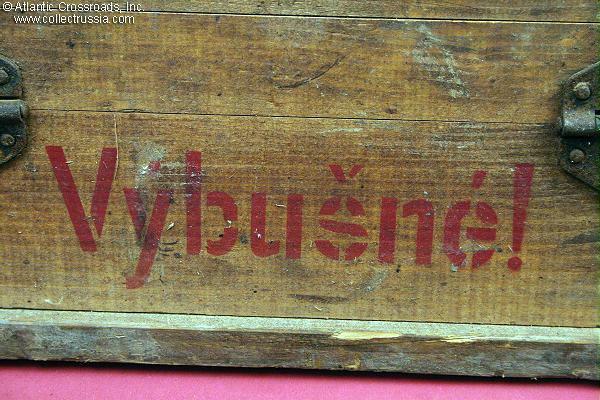 The unknown Czechoslovakian manufacturer firmly identified the box's contents by stamping all manner of inscriptions in red and black ink on the outside, including "8 cm OCGvz235", and the Czech word "Výbusnine! ", which means "explosives." 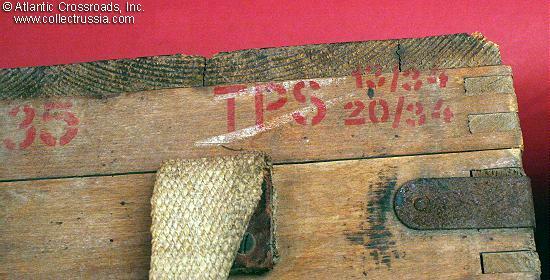 One notation indicates that the wooden box would weigh 43 kilograms once it was loaded with shells - information that a Luftwaffe loadmaster would need to know if the box were to be safely transported by cargo plane. 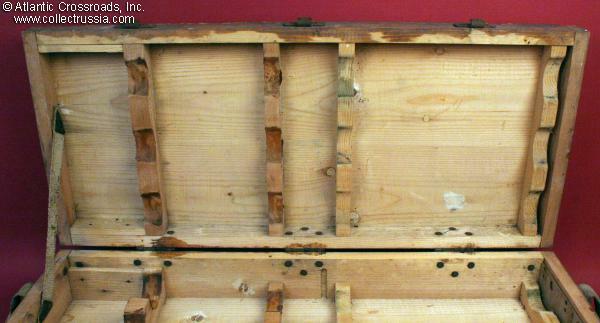 Some splitting of the bottom edges that do not affect the container's "soundness". Very good Condition. 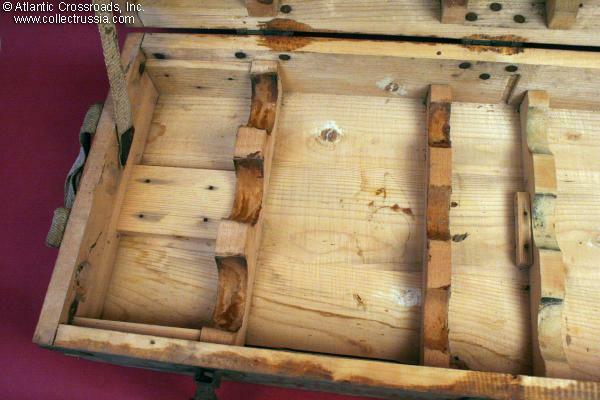 Latches and metal hardware show surface rust but are still fully functional. Basically a very clean interior. 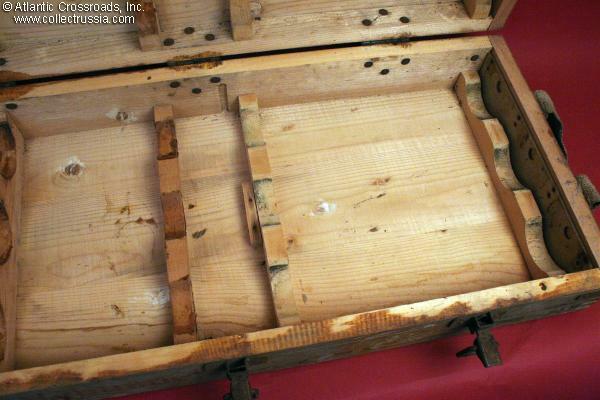 Still has all of the wooden braces once needed to safely transport 8cm anti-tank artillery shells.